Here it is my first BBQ War post. And it also was my first attempt at smoking a turkey. Doing KCBS competitions I’ve smoked probably a few hundred chicken thighs. Using some of the same tricks, I tackled the Turkey. First step was making the brine. 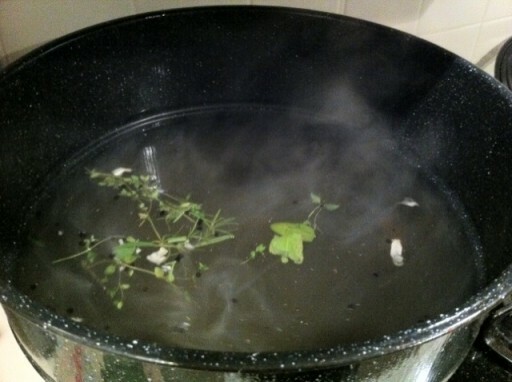 Using a giant pot I simmered water, apple cider, sugar, salt, peppercorns, garlic, sage, thyme, and rosemary. Then left the turkey to soak over night. 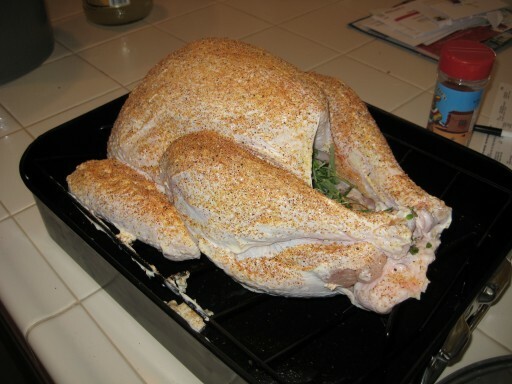 The next morning I rubbed the turkey down with mayo (it’s a great browning tool) and chipotle seasoning. 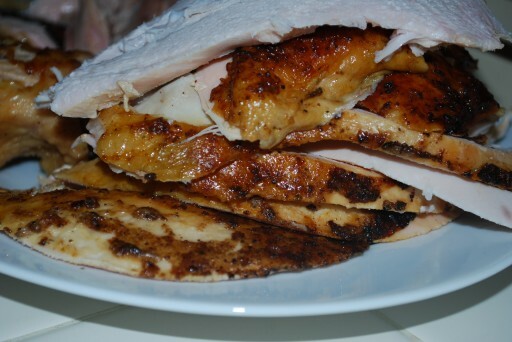 Spent the rest of the morning smoking the turkey over hickory and apple and basting with butter and apple cider. GREAT JOB!!!!! 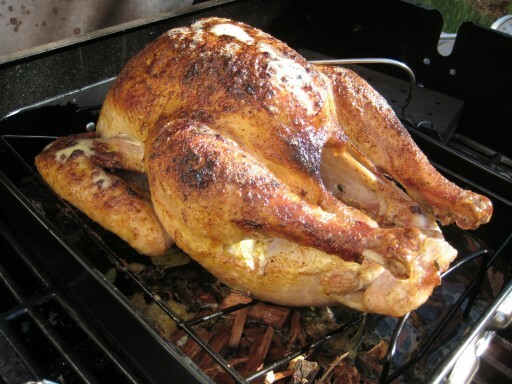 If you dont mind I would love to try to smoke a turkey just like this. You are a true warrior. Please keep posting more great ideas!